Volkswagen is the people’s car (quite literally when you translate the term!) company. First established in Nazi Germany, and then reformed after the second world war, VW is now one of the most popular car manufacturers in the world, with models such as the Golf, Passat and Polo ubiquitous on our roads. 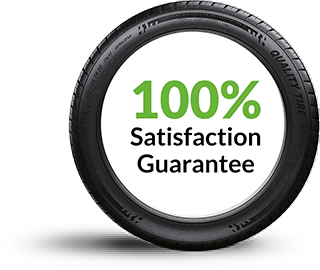 Here at Roadrunner Mobile Tyres, we’re regularly called to fit replacements or undertake general repair on Volkswagen treads. To give you an idea of what tyres you should be looking for, here’s our guide to tyre types for some of the most popular VWs in Australia. If a competition were held to find the world’s most iconic car, the VW Beetle could well take home the honours. The original Beetle ceased production in 2003, being replaced by the ‘New Beetle’, but now the old name is back, and the German manufacturers haven’t made any compromises on the vehicle's classic shape. Tyre sizes for Beetles range from 165/80R15 to 235/35R20. Volkswagen’s signature hatch has been regularly updated over the years, but retains its reputation as a nippy city car, which is also ideal for family travel. The standard, newer-model Golf will accommodate tyres sized between 195/65R15 and 225/45R17, depending on your driving style. Of course, the Golf is also available in a wagon version, although these will also fit 225/45R17s, as will the sportier performance GTI, for extra grip on the wet and around those tight corners. The Jetta is VW’s most popular model worldwide. Available in sedan or wagon form, VW Jettas have been putting in the hard miles on Aussie roads for almost 40 years now. It’s seen as a safe option that hardly sets the world alight, but sometimes you need that in a car, especially when travelling with kids. Well-proportioned and attractively priced, the Jetta fits tyres ranging from 175/70R13 to 225/35R19, depending on your driving style and model. Available as a sedan or a wagon, but perhaps most recognisable in its wagon form, the Passat offers the efficiency you’d expect with any German car, while the newer models refuse to compromise on sleek, attractive design. The B6 and B7 are the most common models you’ll see out on our roads, although the brand new B8 is rapidly catching up with its parking assistance, traffic alerts and other handy technology. Available tyre sizes for the Passat range from 175/70R14 to 235/35R20, with the standard somewhere in between. The Polo has now been in production since the 1970s, and its popularity shows no sign of waning; the fifth instalment of the marque won ‘World Car of the Year’ in 2010. Available as a hatch or sedan, the Polo is an extremely versatile vehicle and is an ideal option for a first car. Safety-conscious drivers will look to fit tyres sized 185/60R14, although the sedan might need something a little thicker and with more grip: 205/45R16 or something similar would suffice. Like the Golf, the Polo also comes in a performance GTI version, for those who fancy something a little more stylish. The Golf R, with eye-catching bumper design, comes standard with 19-inch alloy wheels, with 225/40R18 tyres to really make you stand out on the roads. It also has a 2.0 litre engine and 6-speed Direct Shift Gearbox, so it can really move! The Scirocco was discontinued in the early ‘90s, but has been reintroduced with a vengeance in recent years in the guise of the powerful Scirocco R. This model can fit tyres sized between 175/70R13 and 235/30R20, and you’ll certainly need that extra grip and flexibility if you’re to get the most out of this car’s impressive 276bp. If you have any burning questions about your VW’s tyres, or you can just smell burning rubber, get in touch with us here at Road Runner - we can help!